The findings could help to develop a simpler blood test to pick up the same molecular signals that are linked to early cancer development. 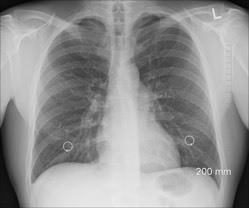 The researchers were studying biopsies of pre-invasive lung cancer lesions of patients who were seen at UCLH. They conducted tests including gene expression profiling, methylation profiling, and whole-genome DNA sequencing on 129 biopsy samples from 85 patients. "If we can use this new understanding of cancer development to create new diagnostic tests, it may one day be invaluable in picking up cancer early, enabling people to access treatment much earlier in the disease process," said co-first author Dr. Adam Pennycuick (UCL Division of Medicine).